For this new work, AotL partners with Studio Around the Corner and Westchester Community College. 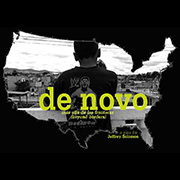 Crafted entirely from immigration transcripts, interviews and letters, De Novo tells the true story of 14 year old Edgar Chocoy and his legal struggle to be allowed to stay in the United States. It has been dramatized by the award-winning Houses on the Moon Theatre Company, who brought us readings from gUN COUNTRY in October. The Creative Team includes Director Jeffrey Solomon, Actors Camilo Almonacid, Sean Carvajal, Zuleyma Guevara, Emily Joy Weiner and Stage Manager Violet Tafari. 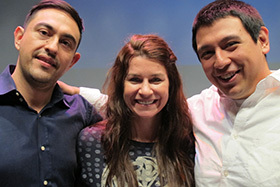 The performance runs one hour, followed by post show discussion with the creative team. Robert H. Garot, author of Who You Claim: Performing Gang Identity in School and on the Streets, will be present for the post show discussion. PRINT your own flyer from "Post a Flyer" within the option box above. Additional performances of De Novo will be at Studio Around the Corner in Brewster on May 9, at Westchester Community College on March 27 and at Hostos Community College in the Bronx on April 22, 23, 24. Link to Houses on the Moon website. See how gUN COUNTRY (10/25/14) was received last fall.